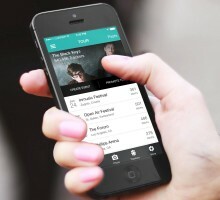 BeatSwitch is a new, cloud-based web app for artists, booking agencies and promoters. 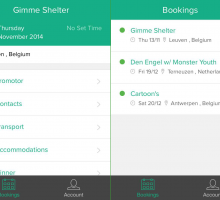 The app organizes a lot of essential things – contacts, riders and a gig schedule – in one place. If you’re tired of relying on your friends’ biased opinions and want to hear some honest feedback instead, look no further than Audiokite: a website that provides you with feedback from about 10,000 people in the US. twicc is a new music discovery app for iOS, which plays Spotify songs matched with users’ tweets. In this text, we take a look at the app and interview one of it’s developers, Yusuke Ariyoshi. 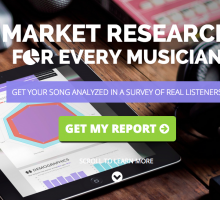 Feature.fm aims to provide up-and-coming artists with a way to get noticed. Will the platform manage to breach the music industry? The Internet is great at connecting people, but when it comes to finding your next musical adventure, things can get tricky. Music Gateway sets out to connect you with music industry professionals and collaborators.